Have you ever thought of being your own boss? Working hours that suit you? Taking holidays as and when you see fit? 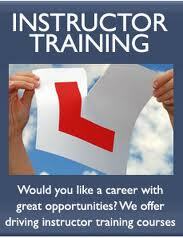 Searching for Driving Instructor Training Courses Glasgow wide? Rather than completely believing what the large national companies will tell you, it’s worth looking at the other driving instructor courses Glasgow has to offer. If you value a quality local, personal service, where you will be valued and respected, a “really good’ course will fit your requirement. Our Driving Instructor Training Courses Glasgow have experienced instructor trainers, who have been in the industry for decades. They will give you balanced advice on not just how to qualify as a driving instructor, but also how to run a diary and conduct yourself in a professionally efficient manner. If you are looking for a job with flexibility, and have a passion for driving and teaching, then the role of driving instructor may indeed be the answer to your dreams. However, it is no easy job, and generally involves long hours. If you have a caring, friendly and patient manner, then those are some of the qualities required. You will also have to be flexible but firm at times. You must be tactful and able to inspire enthusiasm and confidence. In turn, our driving instructor trainers in Glasgow will be more than able to inspire you. Before we will accept any P.D.I. on one of our training courses, we will ask to meet you for a chat. During this meeting you will be made aware of the absolute commitment and effort required to qualify as a driving instructor. We have no interest in selling you a fanciful dream of earning huge sums of money with a lifestyle to match. It is possible with lots of hard work to make a good living, but seldom does anything come easy in life; qualifying as a driving instructor is no exception. That said, it is an immensely rewarding and satisfying job. Owner Andy Jack maintains after more than 25 years in the job, there is little to compare to the satisfaction of putting a new safe driver – or instructor – on the road. Who Delivers Our Driving Instructor Training Courses Glasgow Wide? Our trainers are passionate about their teaching, and will expect you to be to. Those who go on to qualify and impress us most will be offered jobs with the best franchise terms and conditions in Glasgow. From the first meeting, we will make you very aware that Driving Instructors must act professionally to be professional. We are not a company that is interested in taking large sums of money from your finances for little in return. We are though, a group of like minded instructors who constantly strive to be the best we can be. That is our commitment to you, should you decide that you also want to be the best. Viki Rae has accumulated huge experience as a driving instructor trainer in Glasgow. In addition to being an excellent all round trainer, her specialist field is helping Potential Driving instructors to deliver smooth Part 3 briefings. Alan McSwan is the perfect trainer in Part 2 (driving ability) tests. Also more than able to help you achieve success in all the driving instructor tests, Alan will help you achieve the expert driving skills you will need to pass on to future pupils. Alan has been involved in training since 1999. He is currently Standards Check A standard. Owner Andy Jack has been a driving instructor since 1990. He is Fleet registered, a Cardington Special Test holder, a Grade 6 (now A) instructor, and specialises in A.D.I. Part 3 training. Experience and wisdom flow from Andy, and he will work to the highest standards with you., so you will witness first hand what the high standards you require will be. We believe that living up to our reputation in every training session is the only way to maintain our credentials. Part 1 A.D.I. exam can largely be done as a self study. Below is the reading list you will need. Currently these materials will cost less than £60. You need to know your theory inside out. These books will have all the knowledge you need. The Part 1 A.D.I. test will last approximately 1hr.45 m. It will entail 100 multiple choice questions and a hazard perception test. With 4 categories in the multiple choice section, each section will test your knowledge of all aspects of driving. An essential book will be the driving instructors handbook, published by Cogan Page. From traffic signs to vehicle mechanics and the law, you will have various answers and need to give the correct ones to pass. Of the one hundred questions eighty-five must be answered correctly, with no more than five wrong answers in any one section. The Hazard Perception element of the test will have fourteen video clips. Each clip will allow a maximum of 5 points, other than one of the clips which has 2 scoreable hazards totalling 10 points. The pass mark from 75 possible points is 57. You can take unlimited Part 1 tests until you pass — hopefully unnecessary! But you must pass Part 1 before sitting Part 2. At the time of writing the Approved Driving Instructor Part 2 Test costs £111. This test lasts around 1 hour, and most P.D.I’s require some training to bring their existing driving skills up to the higher standard required. There will be five questions on vehicle safety, each incurring a driver error if wrongly answered. There will be a ten minute independent driving section where you will be following signs or shown a diagram to follow directions, or a combination of both. It is important to remember experienced drivers will develop habits that are both good ,and perhaps bad. An expert trainer will soon be able to identify areas for development and guide towards Part 2 success. At the end of the Approved Driving Instructor Part 2 Test you will be given your result. A pass means you can now move on to Part 3. A fail is not the end of the world, as you will be permitted 2 further attempts. Success in Part 2 requires you keep your knowledge base from Part 1 up to date, but apply to sit Part 3. In the Part 3 test of instructional ability, there will be two phases. Both phases will last around 30 minutes each. In phase 1, the examiner will play the role of a beginner, or “partly trained” learner. There are topics they will ask you to instruct them on ranging from the vehicle controls, to dealing with crossroads or a reversing manoeuvre. You will give any briefing and instruction appropriate to the needs of the pupil the examiner role plays. During the phases you must identify, analyse and remedy faults conducted by the examiner. Your conduct, control of the lesson, and level of communication are some of the skills the examiner will assess. Phase 2 consists of instructing a learner who is at or nearing test standard, or a qualified driver seeking to further their skills. Again, you will be given a topic ranging from dealing with pedestrian crossings, use of arm signals, to dealing with junctions. Fault finding, giving analysis and providing remedy will be part of what is known as the “core competencies.” You will have to be confident, patient, and tactful throughout the test. At the end of the test the examiner will give you the result. It will be graded 1 to 6. You will need grades of 4 or higher to pass.